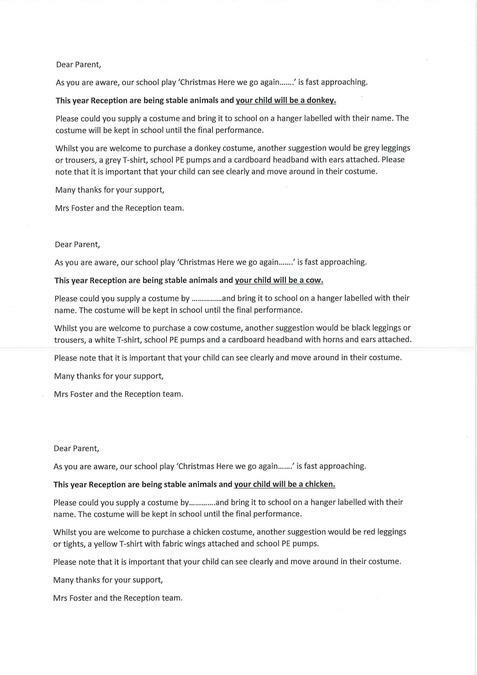 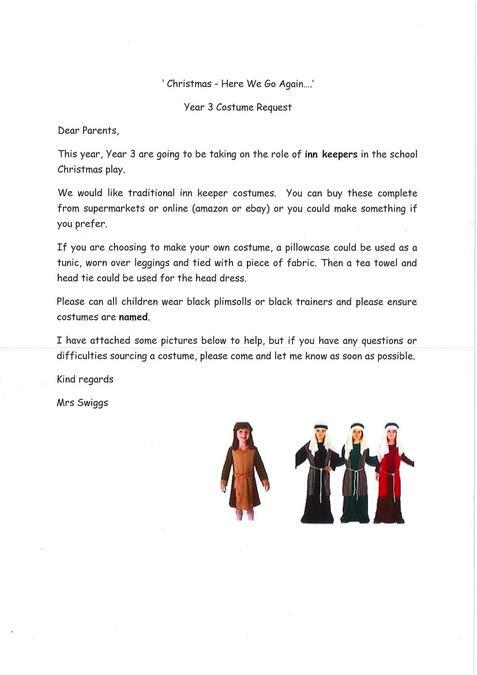 Here are copies of the requests for costumes which have been given to children. 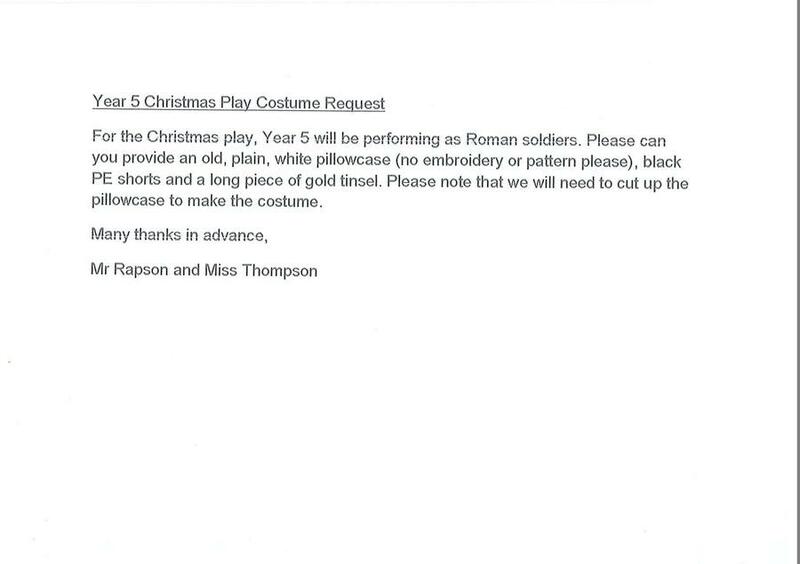 Please could items for Year 5 be at school as soon as possible to enable plenty of time for tunic making. 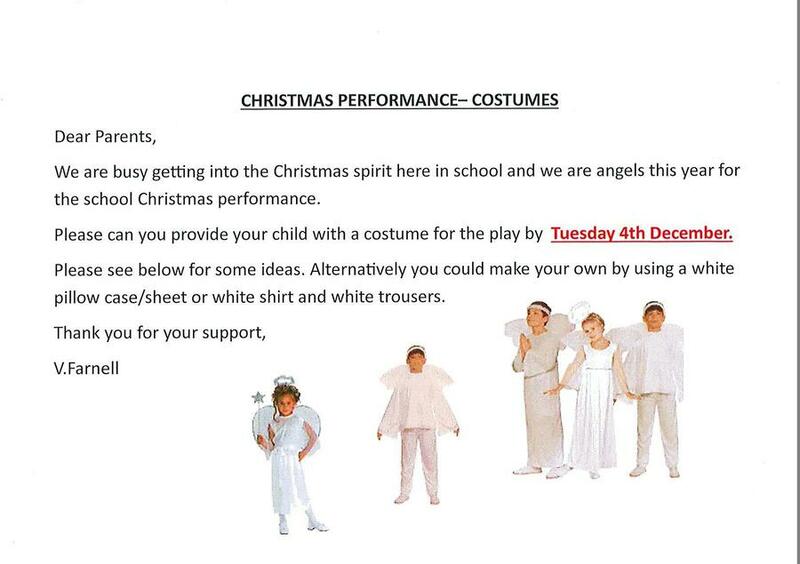 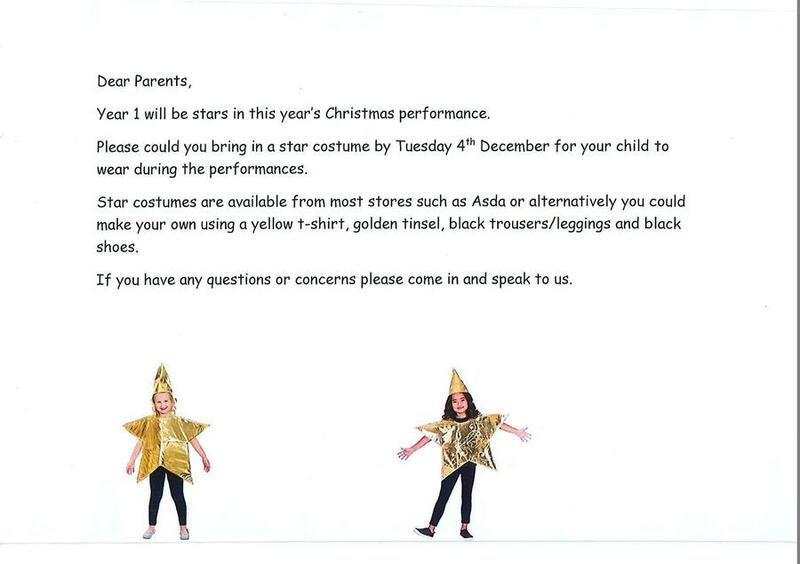 All other completed costumes to please be at school in named bags by Friday 7th December. 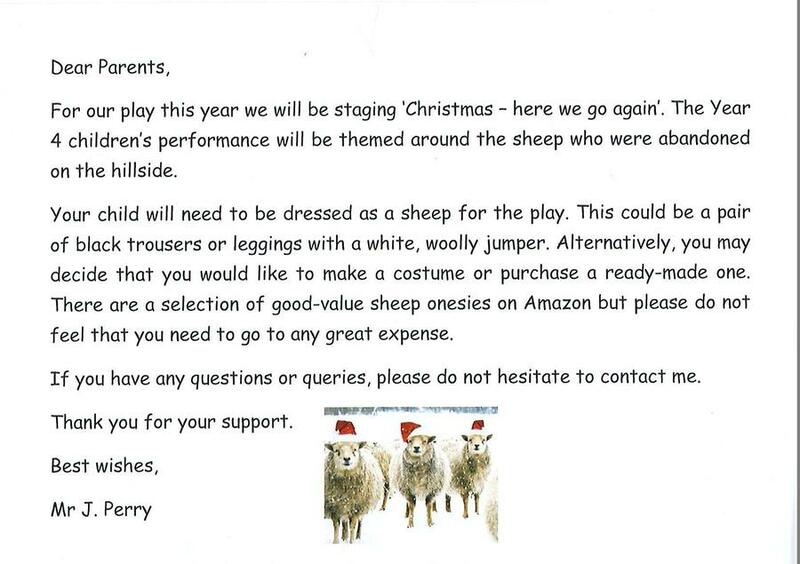 Many thanks for your cooperation, I'm sure you will agree that it is always a worthwhile effort for such an enjoyable event.